A sliver of bicolor smithsonite with good luster and color. 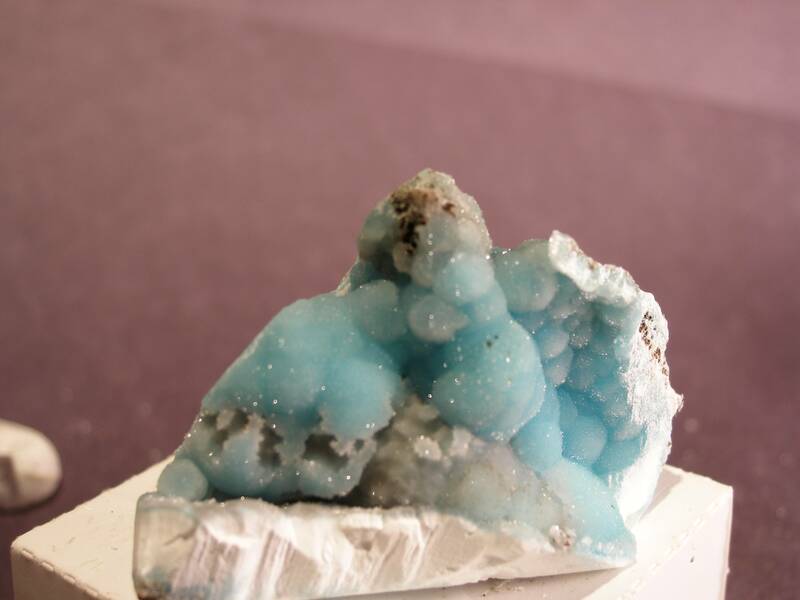 Two dollops of white smithsonite on hemimorphite with blue rosasite specks. 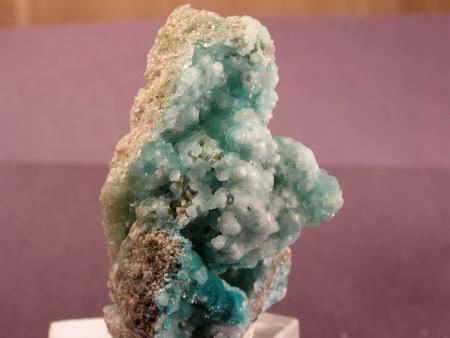 Two shades of green smithsonite on one side of the rock. 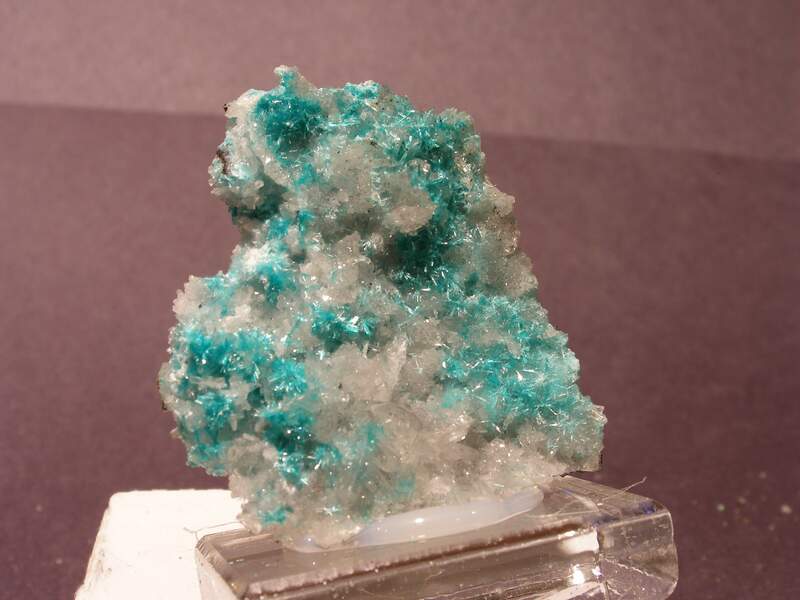 Lustrous. Good piece from a find of three or four years ago. The 79 MIne is known for great smithsonites, hemimorphites, wulfenites, and aurichalcites. This is a nice combination piece of calcite, hemimorphite, and smithsonite. 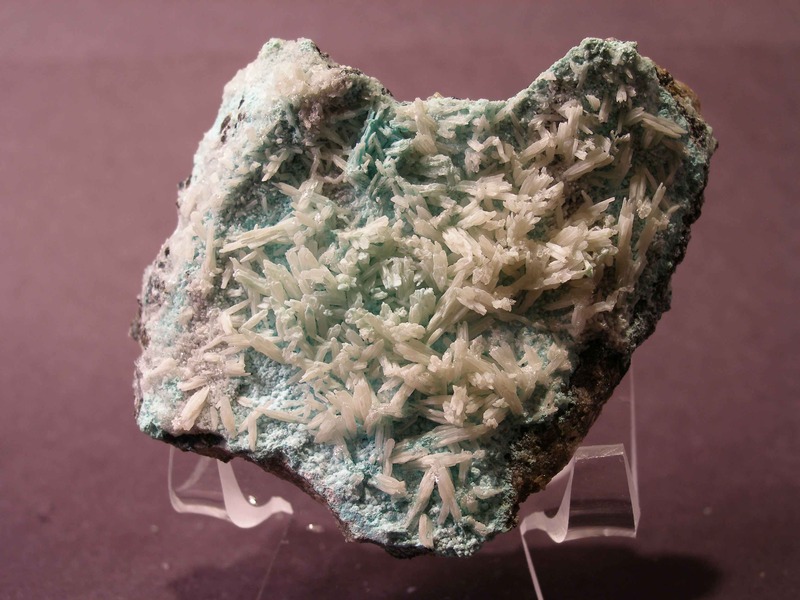 It is fairly unusual to get this combination of cerussite with aurichalcite from the mine. 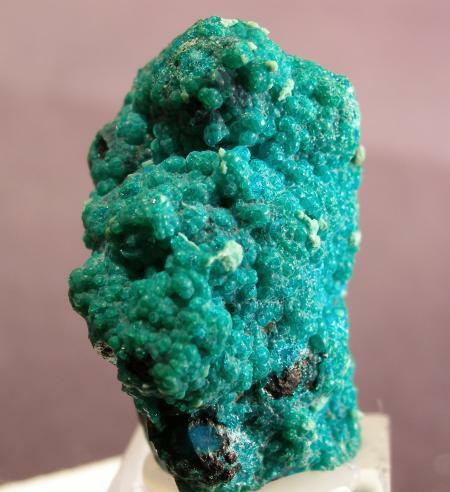 Good example of chrysocolla from the mine. 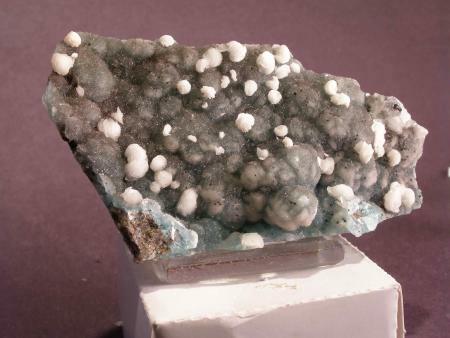 The tiny globs of whitish material is mcguinnessite.